Mrs. Maxham's 3rd-grade students at West Rutland School were really excited when they got their caterpillar kit. This was such a great opportunity for our students that we wanted to be able to capture the life cycle process in a fun way, so we decided to take a time lapse video. Then, together the students wrote a narrative to retell what happened when the caterpillars turned into butterflies. It was a lot of fun to make and the students really got into making the video. Check out it out below! We set up an iPad on a stand and we used the default camera that came with the iPad as it already had a time-lapse setting. There are also plenty of free iOS and Android apps out there that do the same. Videos were uploaded every morning to YouTube. Once complete, I threw them into YouTube editor to make one video with all the clips. I then uploaded that video to WeVideo and did all the editing using a Chromebook. There I was able to add the introduction, voice over, the final clip of the class. I also trimmed down quite a bit of the video to match the voice over. For the voice over, the students each had their own lines they practiced ahead of time and I called them out into the hall one by one to do voice over right in WeVideo. Mrs. Maxham uploaded a video every morning to YouTube to avoid the risk of it being accidently erased. Leave a light on over night otherwise, you'll be shooting just black space. The light didn't seem to bother the caterpillars. Play around with the lighting. We had a difficult time avoiding the glare off the plastic containers. If you have any tips, let me know! Find a quiet spot to do the voice overs, especially if you are using the built-in microphones on your iPad or Chromebook. L3.6 : Acquire and use accurately grade-appropriate conversational, general academic, and domain-specific words and phrases, including those that signal spatial and temporal relationships. SL 3.4: Report on a topic or text, tell a story, or recount an experience with appropriate facts and relevant, descriptive details, speaking clearly at an understandable pace. 3-LS1-1: Develop models to describe that organisms have unique and diverse life cycles, but all have in common birth, growth, reproduction, and death. 1.F Use technology to further enhance and disseminate communication. 6.D publish or present content that customizes the message and medium for their intended audiences. This week's showcase tech project is about blogging in the classroom. Hannah Thorpe, a 4th-grade teacher at Rutland Town School, came to me at the beginning of the year to set up a class blog so her students could practice writing. I looked around at various blogging platforms, some free, some paid, and ultimately settled on using blogger. We are Google Apps for Education schools, and so it made sense to utilize the tools already available to us. Also, we are currently using blogger in our middle & high schools for Personalized Learning Plans, but Miss Thorpe wanted to utilize one blog instead of each student having his or her own blogs, so we set up a basic blogger and added all the students as authors. An author only has permission to create posts, so the students cannot change the privacy setting or add/delete admins or other authors. We also changed the privacy settings so the blog is not listed in blogger or google searches. This allows Miss Thorpe to share the blog link with parents without worrying about anyone else reading their blog. Why set up a class blog? Using the blog allows students to practice typing skills as well as the ability to share their work with their classmates to get peer feedback. It also allows them the time to practice proper digital citizenship behavior. Today, our students cannot avoid having a digital footprint, especially when they become active members of society. We need to teach them at school how to create the best possible digital footprint and a blog is a great place to start. "I think it is important that kids feel confident in their work and to publish it themselves," Miss Thorpe added. Plus, she says. that a 4th Grade Common Core requirement is to have them publish their work and use multimedia to present in different ways. Miss Thorpe is currently using the blog to allow students to type up their different writing pieces. Most recently they posted their opinion piece about whether or not parents should be punished if their kids behave badly in school. 1a Empowered Learner - use technology to seek feedback that informs and improves their practice and to demonstrate their learning in a variety of ways. 2b Digital Citizen - cultivate and manage their digital identity and reputation and are aware of the permanence of their actions in the digital world. To get started, head over to Blogger.com in your school's google apps domain and create class blog! Every week, I work with 2nd-grade girls who have shown a lot of interest in coding after the Hour of Code. We usually work in ScratchJr, but our library recently got a Little Bits Korg set, and they wanted to try it out. We opened up the kit, pulled out all the pieces and I just let the girls dive into figuring it out. In the past, I would have read them the instructions and had them try out one of the challenges that are spelled out in the book basically squashing any inquiry-based learning and creativity. I wanted to see what they would do. Would they hit a roadblock and give up? Would they want me to tell them what to do? I was soon surprised by their response and disappointed with mine. I found myself fiddling with the book, flipping through the pages fighting the urge to read every detail to them and then forcing them to try out one of the challenges. At one point I even opened it up to a challenge and slide the book over to where they could see it just in case. They just glanced at it and ignored my gesture. The girls had no interest in it and instead followed their own flow of creativity. They would pick up pieces look at it and exclaim, “I wonder what this does?” “I don’t know, but let’s put it here?” They simply were not afraid to try and then fail. In fact, they “failed” a lot during our 30-minute session. But they didn't care. They were completely engaged as their creativity and innovation just surged. And I sat there amazed at how comfortable they were with their failures, and it reminded me of a TED Talk that I recently watched by Sir Ken Robinson titled Do Schools Kill Creativity? As we become adults, we become less comfortable with our creativity, and it’s because when we enter school, our creativity gets stifled. It’s almost a bad thing to be creative because being creative means failing. Little kids are not afraid to take chances and be wrong, but as we begin to grow up we’re taught over and over again that being wrong is a bad thing. And making mistakes means you’re careless and unintelligent. We see this over and over again in the classroom. Then, when we graduate, we are told this again at our jobs. Don’t make mistakes. Mistakes will get you passed over for a promotion or worse fired. But as Ken Robinson so perfectly put it, “if you’re not prepared to be wrong, you’ll never come up with anything original”. Being wrong is the core of creativity and creativity is the core of innovation, yet we are producing a society of people where who are not comfortable with being wrong. Thankfully, some people in education are starting to see how damaging this has been for our culture. We hear time and time again about how “Millennials can’t do anything”, that “they want everything handed to them”, “They don’t know how to think for themselves”. Who’s fault is that? Our Education system. We taught them that. They are the products of rigid, high-stakes standardized testing, where being wrong was extremely damaging. And now desperate to move away from this, some schools are seeing how important it is to provide opportunities for failure and innovation through student-centered, inquiry-based learning opportunities where they don’t have follow a rigid set of instructions to create something. This is why a MakerSpace is so important. When our time was up, they begged me to allow them to take the little bits back to their class to show everyone else. The other students sat around a table while the 2 demonstrated how it works. Soon questions started to flow from the other students, “What does that do?” “What happens when you do this?” They weren’t afraid to ask those questions. I was amazed at how comfortable they were to expose that they didn’t know much which led them to inquire and ask questions. Adults almost never expose to other adults they haven’t got a clue about something, especially in the workplace for fear of being judged and stigmatized. This 30-minute experience with two 2nd-graders has proven how incredibly valuable learning through experimentation is. It should be our duty to graduate students who are self-learners, who can problem-solve, and who can innovate. Because it is those skills which are at the core of being a productive and successful citizen, not memorizing facts. Therefore, we must provide more opportunities to foster those skills, and a MakerSpace would provide us with a space for that type of learning. The more I read about the arguments for a MakerSpace, the more I am convinced at how truly valuable this will be for our schools. Let's produce innovators instead of rote thinkers. Do you have students struggling with dyslexia? Check out OpenDyslexic, a free and open-source dyslexia typeface! Add this Chrome extension to change the typeface to a font that makes it a little easier for people with dyslexia to read online. Go to your apps and find the Web Store. 3. When you get the Popup, click “Add extension”. 4. Viola! Now open up a webpage and it will automatically change the font! Enhance your student-centered class with interactive videos! A common resource in many online classrooms, whether it is blended, flipped or fully online is the use of videos to facilitate learning followed by some sort of formative assessment. I know several teachers in my district are using the power of videos to help facilitate learning. Imagine how much more powerful these videos would be if you could embed questions or comments right in the video! There are several tools out there on the web that allow you to do this, but I am going to highlight EdPuzzle because it is completely free, whereas the other ones have "Freemium" options, meaning they'll give you some basics for free, but to get all the tools you must upgrade. Another reason I am highlighting EdPuzzle is it integrates directly with google classroom and gets your students using it in no time. When you share your videos, you can choose a Google Classroom class, a class you created in EdPuzzle or you can simply just share a link with anyone. Sharing a link with anyone will not track progress, but it will still give your students immediate feedback. 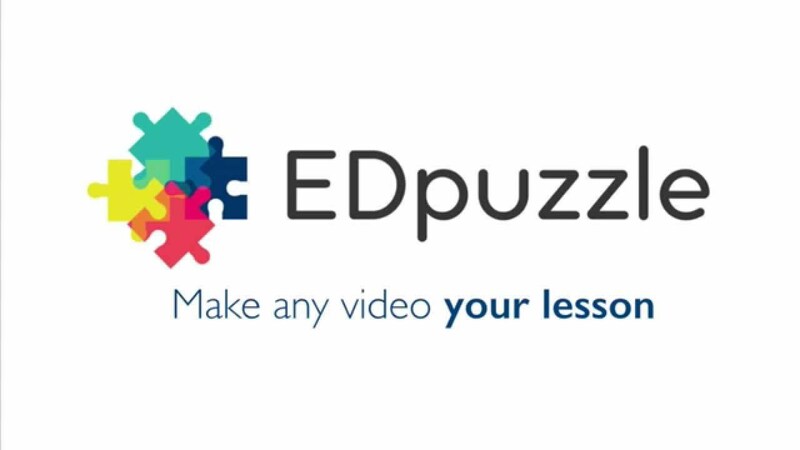 Check out the short video below to see how EdPuzzle works and then head over to EdPuzzle.com to create your first interactive video! Looking for a way to supplement or spice up your math class? Check out these 5 Math Open Educational Resources! Xtra Math - This site is great for setting up math facts practice so students become quicker at recalling them instead of relying on their fingers. Fluency goals are achieved with timed practice as they race against the clock. There aren't a lot of bells and whistle, and it is quite simple and straight forward to use. Prodigy Game - Grades K-8. Your kids will feel like they're playing a fun game with Prodigy Math. They'll practice math skills while going on quests and casting spells. They even get to customize their avatar the first time they log in. It's simple to create an account and get students started using Prodigy Game. Students can work on a variety of math skills or the teacher can assign which skills they work on and there are diagnostic tests that levelizes students according to their ability. Check out the resources section of their website to get started. Front Row - Grades K-8. Front row also has game-like features to keep students engaged. It is adaptive Math (and ELA) practice where teachers can create classes to keep track of students and intervene when needed with the assigned practice feature. I made a Front Row Math learning collection here using Gooru.org to help you get started. Achieve the Core - Grades K-12. This site is packed with resources for teachers on how to teach Common Core Math (and ELA). They have everything from assessments, lessons, tools for planning and even professional development. It was founded by the lead writers of Common Core to ensure teachers can put the standards to work effectively. Khan Academy - Grades K-12. Even though Khan Academy has a wide variety of content areas to choose from, the creator started off making math videos for his cousin using Yahoo Doodle and uploading them to YouTube. There are thousands of high-quality self-paced, student-centered lessons. If you know of any OER Math websites or apps that deserve recognition, please let me know! Even though I currently work in the US, I work a rural community in Vermont. We don't have lavish budgets, and in fact some of our schools have serious deficits right now and things need to be cut. That always impacts the students somehow. Why should our students have to suffer because of where they live? Why can't they have the same access to education as wealthier schools? This is why I am such an advocate for Open Educational Resources (OER). It shouldn't matter your zip code in order to receive a quality education. I am pleased to hear the new ESSA Bill passed in congress on Dec 10th, 2015 to replace NCLB addresses equity in education, which seriously lacked in NCLB. Students should have the right to access a high-quality education no matter where you live, and OERs can make that happen. There are some really great resources out there on the web, but no educator has oodles of time to seek out those resources, so, I've compiled a list of 6 excellent OER sites where educators can find quality resources. 1. Gooru.org - Gooru's mission is to "honor the human right to education." I just love that. It shouldn't matter your zip code in order to get a quality education and the people at Gooru have created a platform that does just that. Gooru provides teachers with the ability to search for and create collections of resources (or lessons, or playlists or whatever other education buzzword you want to throw in there) that can be shared, remixed and reused by other teachers. So basically, you can take resources from any of the below OER websites, Google Docs, YouTube, eTextbook, or really any digital resource and create student-centered lessons where you can create embedded concept checking questions and formative assessments to track student progress, collect data, and see when intervention is required. Some of the features include setting a minimum score students must meet on the formative assessments before moving on to the next lesson; searching resources and collections in Gooru by grade and content area or by standard; using a whole collection or just pieces of a collection to create your own collection for your students; rating collections so the best ones filter to the top and the crappy ones get lost; and using your own digital resources to create your learning collections. I like this because as we move towards proficiency-based, student-centered learning, it should be digital so that the resources can be easily updated as well as shared with colleagues. Why keep all that great stuff you have a secret? By sharing resources, we allow ourselves to receive feedback to update and improve upon as well as generate new ideas from what we see our fellow teachers doing. It's a win/win in my book! Rumor has it that soon Gooru will integrate with Google Classroom, which will be another major plus for our district since we are Google Apps for Education schools. 2. ck-12 - Looking to ditch your over-priced, out-dated textbooks for something, well, better and free? This is the site for you and your school. The U.S. spends billions on textbooks, yet many students are still using old, out-dated textbooks they cover in brown paper bags at the beginning of the year to try to stretch another year out it. No one likes looking at tired old textbooks, especially the teachers who have to deal with that ratty thing year after year, secretly wishing students would destroy them so they have no other option but to get rid of them. Thankfully, our government now realizes that in order to improve the quality of education, things need to be accessible for all schools, which means they need to be free. They believe it's time to tear down the barriers that limit the free exchange of information in education. The Office of Educational Technology of the U.S. Department of Education has recently announced they are going to be steering schools toward OERs with their GoOpen initiative, hence why I am dedicating this whole site to Open Educational Resources. They ask that schools pledge to replace at least one textbook this year with Open Educational Resources, and ck-12 is the place to do this. I know they have k-12 in their name, but this site is best suited for 6-12. If your district implements 1:1 devices for middle and high school, then this site can save you big bucks. ck-12 created the FlexBook concept, which allows teachers to create textbooks by reusing materials already out there as well as their own material. ck-12 allows you to search for over 115,000 standards-aligned flexbooks already created on their site by standard, subject and grade. Teachers can then save the flexbooks to their library, share to groups or customize it by rearranging chapters, deleting chapters or adding their own chapters and materials. Check out this short video to see how it works! 3. OER Commons - OER Commons has OER in its name, so you know they are serious about Open Educational Resources. They have an extensive digital library and a network of resources and educators. They have over 30,000 educational resources! You can create groups for collaboration and save resources you find on OER Commons in these groups using folders and subfolders. You can also search groups that have folders of resources already saved and organized saving you time and energy. The network Hub feature is great for groups to create and share resources connected to a particular project or organization. I can see this being quite useful for schools and districts to house their OER materials in one spot for teachers to share and pull resources. Check out the videos below to learn how to search and create groups in OER Commons. 4. 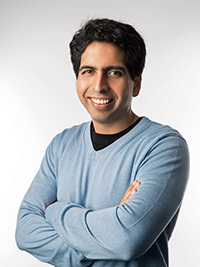 Khan Academy - Khan Academy is a website that offers thousands of free high-quality, self-paced lessons for student-centered learning. Through the dashboard, teachers can set up classes to monitor student use and progress. They have it neatly set up for you to search content such as Math, Science, Economics and Finance, Arts and Humanities, and Computing. They even have an SAT Test prep section! Unlike other OER sites on this list, the lessons are curated by the people at Khan Academy, so teachers do not have the ability to add their own content to Khan Academy and remix the content already existing on the site, but you can easily add a Khan Academy lesson to a Gooru collection or other learning platform to supplement your lesson or project. I couldn't find one video that captured the essence of all that it has to offer, so instead, I'll post a picture of the man behind it all. He deserves recognition. Now go to the site! Wait, finish reading this blog post first. 5. BetterLesson - BetterLesson is another great free resource for teachers looking for classroom-ready K-12 lessons that align with Common Core Standards in Math, Science, and ELA. I think this site will be particularly useful to new teachers or teachers struggling to come up high-quality content. Why reinvent the wheel when BetterLesson has it all done for you? 130 Master Teachers have shared their lessons for year-long courses, beginning with the first day of school! Teachers can search lessons by standard, subject or grade-level. You can also view all content from a particular Teacher. Teachers can like lessons, download the resources and provide feedback for free. Unlike Gooru or OER Commons, users cannot remix the content, but you teachers can still use and rate it. In order to access unlimited browsing, you simply need to create a free account. In addition to downloading lots of free material, there's a space for teachers to create and share their own lessons. To learn more, check out the video below. It's not an exciting video, but it will walk you through exactly how to get started using BetterLesson. 6. Graphite - Graphite is a platform created by the people at Common Sense Media. Once again they do not disappoint and, of course, it is free to use. It is an educational resource rating system to help teachers find, use and share high-quality resources. Graphite's goal is to help educators find the best apps, games and websites in the most efficient way. Let's face it, we teachers do not have much time to go seek out the latest and greatest, but Graphite makes is so much easier for teachers to quickly search for and use digital resources. Resources are rated by teachers like you as well as experts in the field. In the Common Core Explorer feature, you can search for those resources by CC Standard. Currently, this feature is available for Math and ELA, but Science, Art and Social Studies will soon follow. In the Rating and Reviews section, you can search by type, subject, grades, price, skills, and purpose. Or go straight to the Top Picks section to find a curated list of the best EdTech tools reviewed on Graphite. If you want to see some lesson plan ideas, they have that too in their Lesson Flows section. There you can find hundreds of innovated, technology-rich lesson plans uploaded by educators just like you! Unlike other websites on this list, not all the resources reviewed are free to use. Some apps and games they review are paid, but they are very upfront about that. It is still free to use Graphite to search for those resources and lessons. Check out the video below to get started.